For as low as $25 a week, provide the most important people in your workplace with the highest quality fuel to see improvements in health, productivity and most importantly, happiness! - Now with FREE delivery to your workplace! Here at Fruit 2 You we select the very best quality fruit and deliver it to your workplace on a weekly basis. Choose from a range of sizes that suit your workplace, our fruit baskets start from $25 per week, with monthly invoicing available. Our workplace fresh-fruit delivery service is inexpensive health insurance for your staff. Call or email us for a no obligation free weeks trial! Fully customizable for any occasion or celebration - Whether you want to say Thank you, Congratulations, Happy Birthday, Merry Christmas or more! 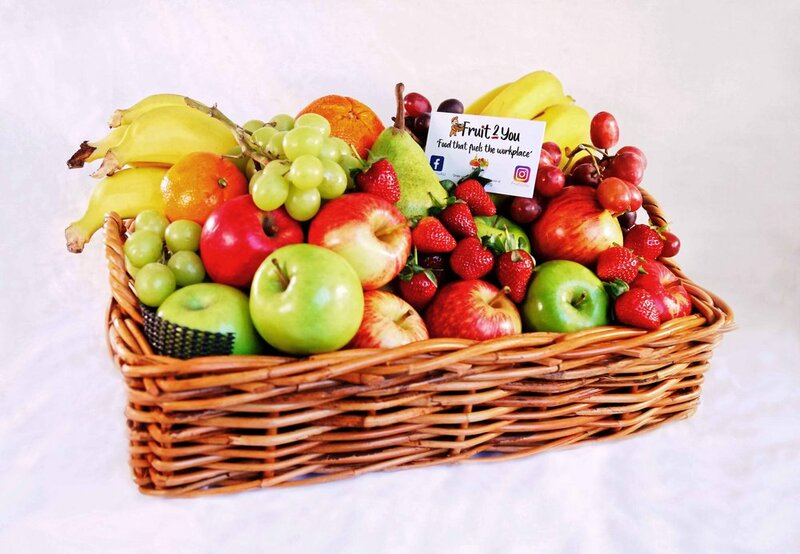 just let us know and we will deliver any message with your beautifully presented fruit in a handmade designer cane basket.